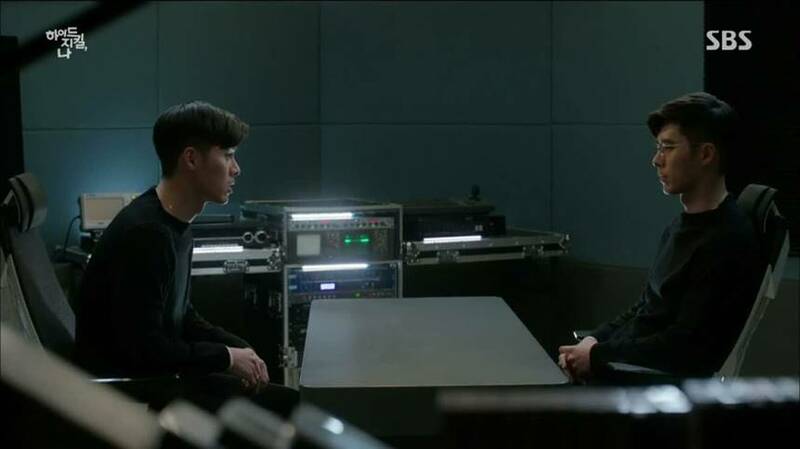 After a disappointing week, Hyde, Jekyll, and I goes back to what it does best: moving the plot along at a steady pace and introducing new and interesting conflicts. After accidentally giving Seo-jin confidence in himself, Soo-hyun’s (Sung Joon, Lie to Me) new mission is to take down the people around Seo-jin to make him suffer. He is desperately clinging to his belief that Seo-jin is evil, even though he sees for himself that Seo-jin has changed. Deep down he knows the truth, but he is unwilling to face it. This is because his excuse for not dealing with his past has always been that Seo-jin won’t come clean. Now that Seo-jin is openly admitting his mistakes, Soo-hyun is being forced into a corner. If Seo-jin stops lying, he can no longer hold him responsible for his own trauma. And that means he will have to face his own fears. Soo-hyun’s talks with Dr. Kang (Shin Eun-Jung, Misaeng) show his inner struggle between his own Jekyll and Hyde sides. Dr. Kang was Soo-hyun’s mentor and is now acting like his moral compass. Soo-hyun can plainly see that Seo-jin is changing, but his vengeful side is unwilling to let go. When he talks with Dr. Kang about his plans, he’s actually talking out loud to himself, trying to silence that inner voice that’s telling him he’s wrong. And, like his morality, he keeps Dr. Kang tucked away. This whole scheme to take down Seo-jin completely goes against his ethics, but he’s willing to sacrifice those morals to prove that Seo-jin is a bad person. We can see this in a more literal sense when he sets Dr. Kang up to be killed by Robin. His reluctance to deal with his own past is so great that he’s in danger of losing his good side forever. 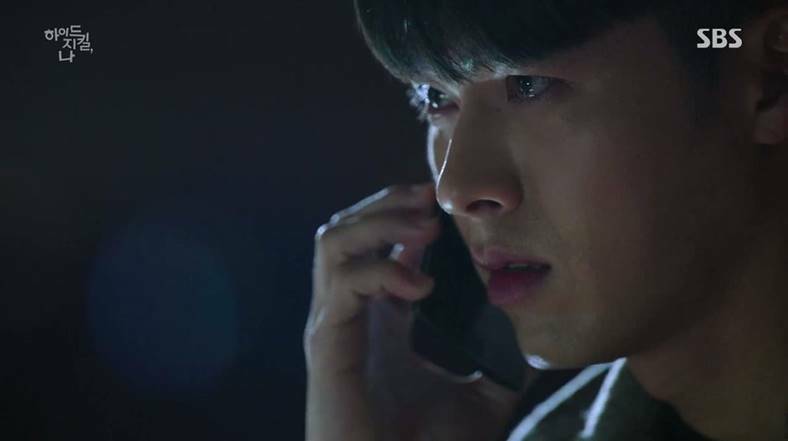 These episodes have seen the most growth for Seo-jin (Hyun Bin, Secret Garden), as he puts all of his efforts into healing himself and facing his fears head-on. We can see this, for example, when he asks for a six-month leave of absence and nominates his cousin to take over Wonderland. He also posts a video online directed at Soo-hyun, asking him to meet in person. In the video he admits that he was a coward, but is ready to make amends. Revealing himself to Ha-na (Han Ji-min, Rooftop Prince) and Soo-hyun (unintentionally) was a way for him to accept his illness. Saving Ha-na also made him realize that he could be a good person; Robin could actually be a part of him. So now he no longer wants to destroy Robin, he simply wants to re-integrate. Because Seo-jin is beginning to see Robin as a part of him, he no longer treats him as a person. We can see this when he doesn’t consider Robin’s feelings when he begins telling more people about his illness. This essentially takes away Robin’s humanity. Seo-jin even sees Robin’s personality as his own, telling Ha-na that she loves a part of him. To Seo-jin, Robin is simply his good nature that has been torn away from him. He is certain that he and Robin are one person. On the other hand, Robin is insisting that they are two people. With Seo-jin’s intention to reintegrate him, Robin feels like his life will be taken away from him. It’s like a death without dying. The situation brings to the forefront the same question from the first episode: what constitutes a human being? What does being a person mean? Robin is self-aware, has his own memories, personality quirks, hobbies, interests, and abilities — but at the same time he has no identification, no driver’s license, or even a birthday. While Seo-jin is learning to trust himself, Robin is actually losing his sense of self in these episodes. This is why he’s desperately seeking validation that he’s a person from the people around him. Robin’s choice between killing or saving Dr. Kang was a pivotal moment for him in these episodes. Even though Soo-hyun thinks that he brought out Terry, it was really just a dark part of Robin who wanted to live. Robin sees Dr. Kang as a threat, someone who could essentially kill him. For a while, it seems as if Robin will give in to the dark side, as it were, and strangle her. Then, Dr. Kang says his name, and in a stroke of luck Ha-na calls him on the phone. Both of these moments remind Robin of who he is; he realizes that he wants to be the kind of person who saves, not hurts, people. So even though Dr. Kang may take away his life, Robin will not stop being the good person that he is. So we end these episodes with some new conflicts and questions. The biggest new development is a second persona, Terry. Terry is a violent personality that popped up when Robin tried to destroy himself. So the title can now refer to Hyde (Terry), Jekyll (Robin), and I (Seo-jin). It was an interesting surprise, but the series did a good job of making it believable. They kept referencing something terrible that happened five years ago, and now we know it was this horrifying being who tried to kill Dr. Kang. I was also happy to see that Seo-jin’s secret about his mental illness was revealed. It leaves plenty of time to create a new conflict and gives Ha-na the natural time she needs to sort through her feelings. It would have been terrible if they had tried to rush her acceptance of it in at the end. Instead, Ha-na remains very conflicted in her thoughts about Seo-jin and Robin. In this way she represents the audience too, because while we want Seo-jin to get better, we also don’t want to see Robin leave. And like Ha-na, we have to ask ourselves if Robin is an individual person or just a part of Seo-jin. The series is not leaving us with any easy choices. Either Seo-jin will have to accept sharing a body with Robin, or Robin has to disappear.